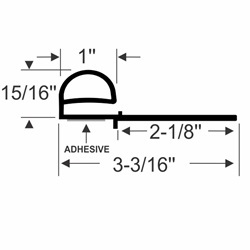 The Flip-N-Seal slide out seal has a unique, universal design that can replace almost any seal configuration. 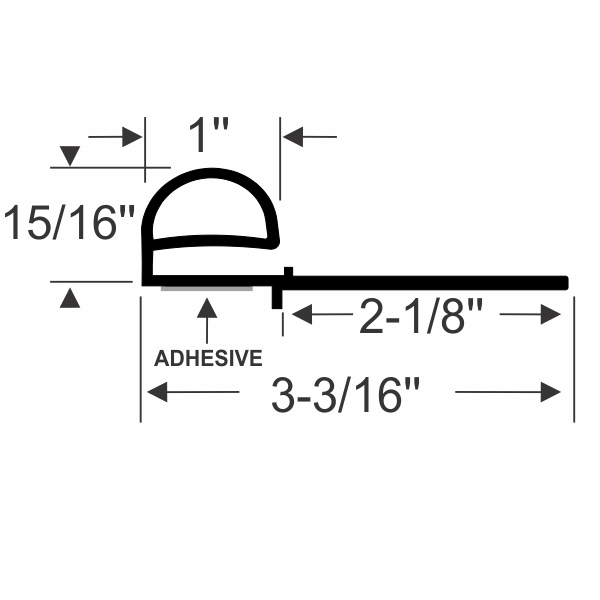 There is a hinging section, that has an adhesive back, that allows the seal to be used on right angles, different wall thicknesses, and even on thin lips. The super flexible wiper section is an excellent replacement for most wiper lengths. Commonly found on current Forest River Fifth Wheels. Ideal for 2013 Itasca Meridian motorhomes. Maximum continuous length of 75 feet. For orders greater than 75 feet, please call to let us know where we can section the pieces.